One of the first public housing developments in the United States, Altgeld Gardens was built between 1944 -1945 with 1,498 units on 190 acres on Chicago’s far south side. It was an early example of the promised community and family benefits of high-density low-rise public housing vs. high-density high-rise public housing. 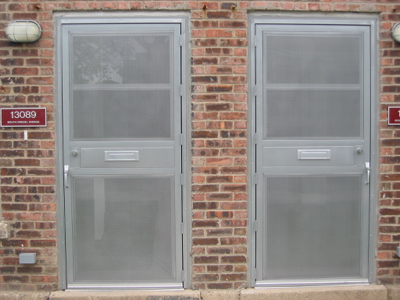 In 1954 the neighboring Philip Murray Homes, 500 two-story row-house designed homes, were added to the Altgeld community. The neighborhood became knows as Altgeld/Murray Homes. 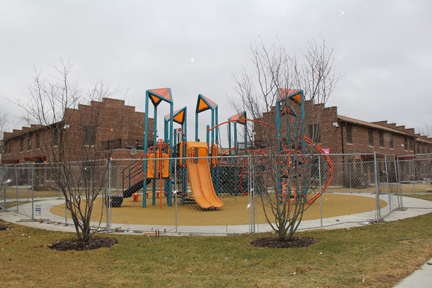 Over a ten-year period, Lansing Housing Products was retained to provide hundreds of security doors and about twenty thousand safety and security screens in the renovation of approximately 1800 units at Altgeld/Murray Homes. 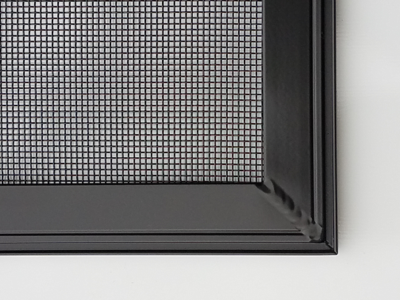 Special design, model #604, Security Guard storm door. 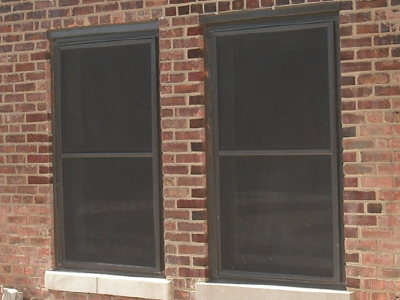 Safety Screens, model #151, a predecessor to Tough Tek Metals® safety screens.